Hello and welcome to the blog! 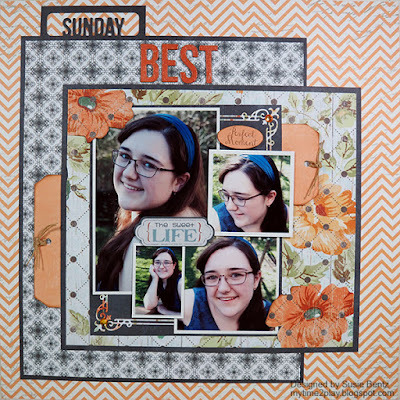 Susie here today with a layout I created by mixing elements from 2 different Quick Quotes Collections: Farmhouse and Anchors Aweigh. 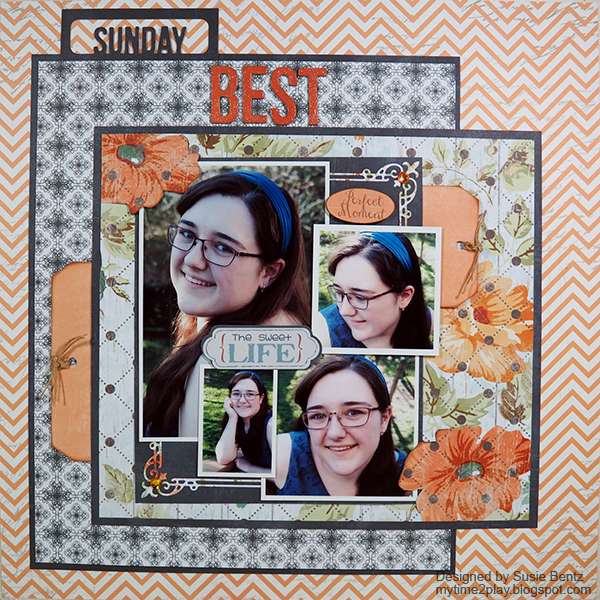 I started the layout by using the Anchors Aweigh 105 chevron print paper for the background. 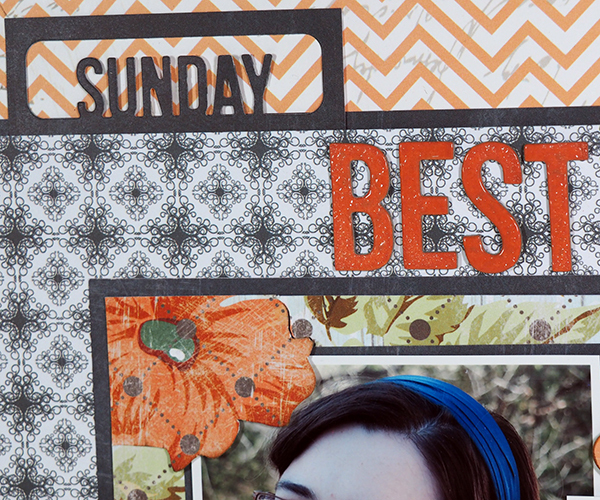 For the title area, I die cut the navy blue Anchors Away 107 to create the "Sunday" tab. I used Sunset PowderPuff Chalking Ink and clear embossing powder to alter some chipboard letters from my stash to finish it off. I love how easy it is to create coordinating embellishments using the Chalking Inks from Quick Quotes! Next, I added in a couple of pieces from the Farmhouse collection, including the beautiful floral print on Farmhouse 100. You can see in the picture above how I used a craft knife to fussy cut the flower so I could slip my photo underneath. I also die cut a decorative frame from Farmhouse 102. 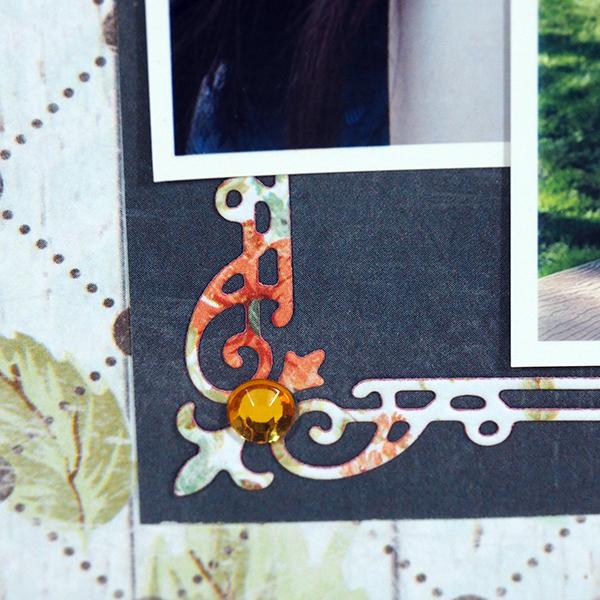 I cut the frame apart and just used a couple of corner pieces to add a delicate accent. I arranged my photo collage and sprinkled in a couple of die cut stickers. I also added a piece of rhinestone bling to those corner pieces! The colors of these 2 collections work so well together! I hope you will try "mixing it up" yourself! 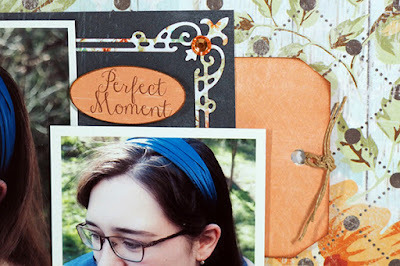 BEautiful use of colors and patterns!